PLESK_ERROR: Unable to remove certificates: one or several certificates are assigned to the IP addresses/domains. 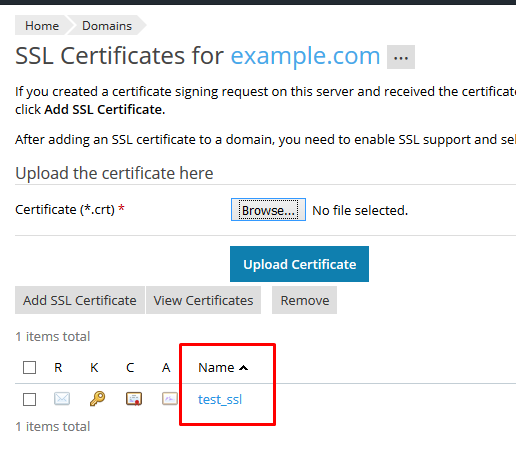 PLESK_ERROR: Unable to remove SSL/TLS certificates. One or more certificates are used by websites. The certificate is assigned to another domain, to a webmail or to an IP address and is currently in use. Open Domains > example2.com > Hosting Settings and switch "test_ssl" to "Not Selected".